Boston is a great place to visit anytime – what’s not to like about their sports teams (sorry Yankees fans), art museums, restaurants, theaters, the new Boston Harborwalk, the red brick Freedom Trail and history galore! 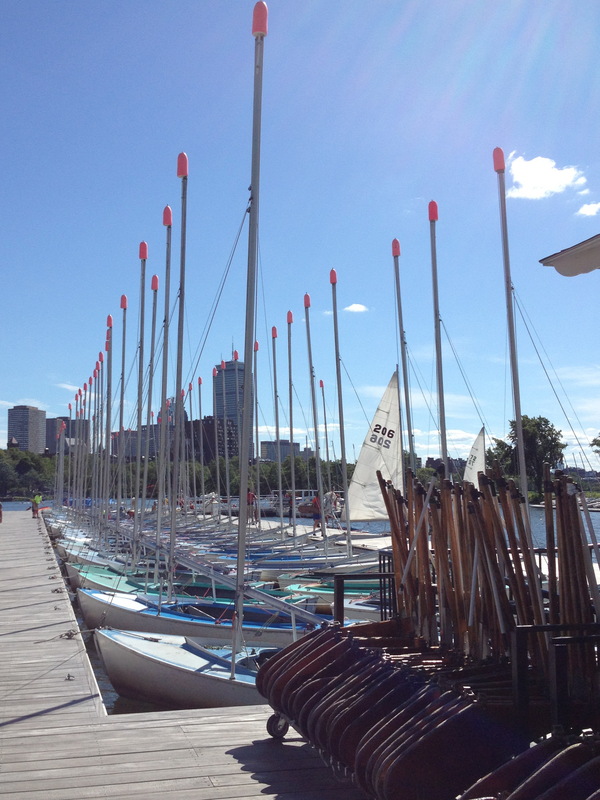 Summer is even better with many sailing venues available to out-of-town visitors on the Charles River, Boston Harbor and the Harbor Islands. During my family visit to Boston two weeks ago I spent a day visiting Boston Sailing Center at Lewis Wharf, Courageous Sailing Center in the Navy Yard next to the USS Constitution and Community Boating on the Charles River. My objective was to connect with these great teams in person and find out what’s working for them especially related to their volunteer programs. 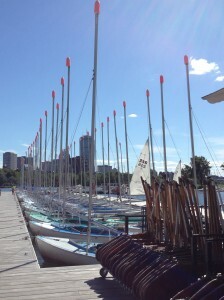 Piers Park Sailing was a pioneer in adaptive sailing programs and I hop to visit their team during my next visit. Many of their most successful programs – especially the racing programs – are driven exclusively by the volunteers who sail on the Charles River and Boston Harbor. These centers benefit from sailors of all levels of skill and all ages, most minutes away from their docks via sidewalks, subways or water shuttles. Several TISC tenants responded to our first blog and suggested a central calendar for upcoming events that may affect access. That’s in the works on the TISC website. For now check out this List of Upcoming TISC Events and Opportunities. When visiting Boston, load your Charlie Card and use public transportation. My feet and public transportation got me from my son’s condo in Somerville to all three sailing venues and back on a gorgeous sunny day in the 70’s. Here’s a few handy links for Buses, Subways and Harbor Shuttles in Boston.